WATERVIEW - "Land Your Dream Here"Â© Stunning Post and Beam Contemporary, set on an elevated knoll overlooking Long Island Sound. Updated in 2012. Designed for entertaining with open floor plan, high ceilings, abundant light and oversized deck. Enjoy expansive water views from nearly every window. Features include, eat-in chef's kitchen with Subzero, Wolf 6 burner stove, granite counters, and spacious island. East facing sunroom. Family room with custom engineered glass and steel staircase, cathedral ceilings and wet bar. Master bedroom suite with floor to ceiling windows, and fireplace. Listen to the waves, swim or launch your kayak from association sandy beach. View Yale sailing regattas from your deck. Beautifully, professionally landscaped gardens. Convenient to village, restaurants, Yale, Train, and some of the best kayaking along the CT shoreline. 75 miles to NYC. 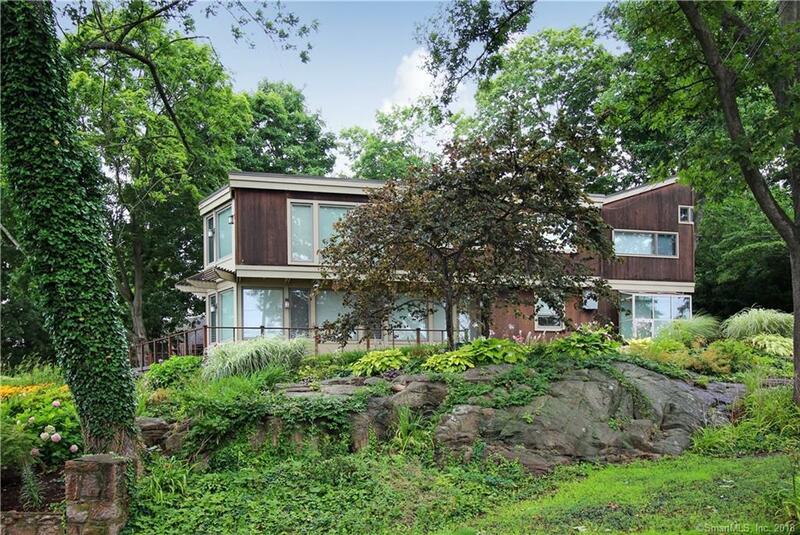 A must see for waterfront and water view enthusiasts. Directions: Short Beach Rd To Clark Ave.